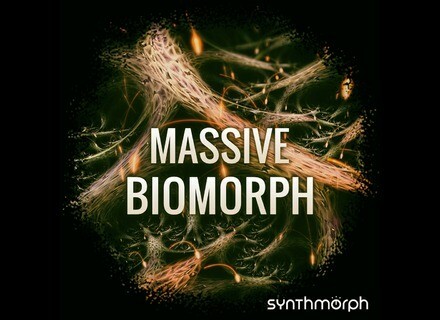 Massive Biomorph, Carte d'extension pour synthés de la marque Synthmorph. 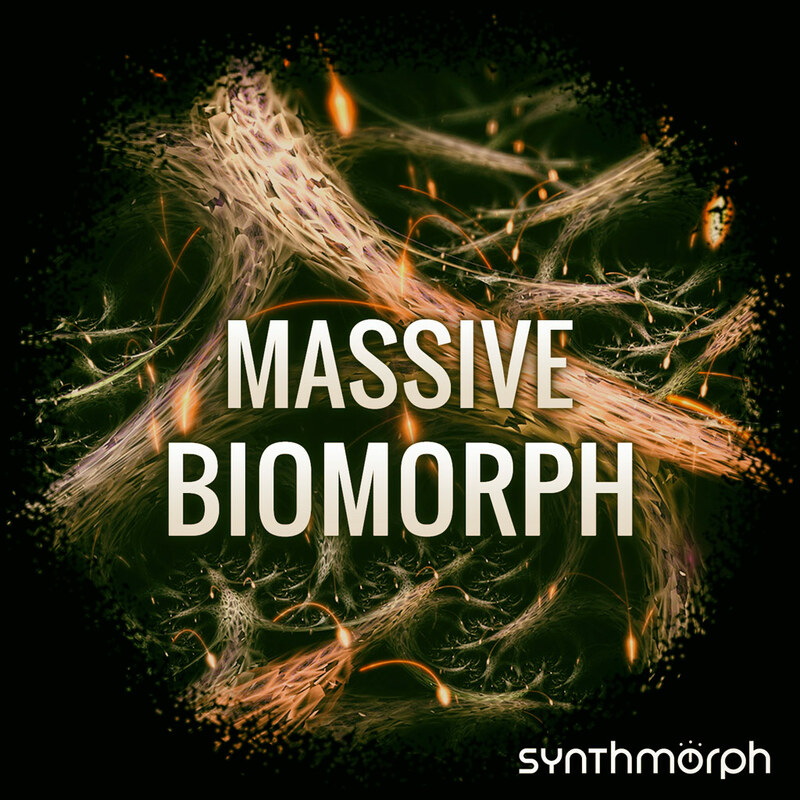 The 'Massive Biomorph' Synthmorph pack is a result of a longer research in morphing sound design. Each preset in the pack allows the user to morph between different sonic snapshots by animating 30-40 parameters simultaneously with the turn of the modwheel. This unusual sound transition provides a dynamic live playing, while keeping the sound in the 'usable musical sound' domain, due to careful programming. This implementation of 'morphing of all active parameters' is first in the market and exclusive to Massive Biomorph currently. You'll find lively, chaotic basslines, smooth and dreamy arpeggios, organic keys, tricky atmospheric pads driven by network of modulators – but the main point is: each preset comes with its own multifaceted personality. The presets are great for hybrid electronic scoring, game music, commercials or smooth stratospheric electronica. A must have for the modern film, game and broadcast composers or any musician who want previously unheard, smooth and expressive morphing sound easily out of Massive. The additional 20 Synthmorph MIDI sequences are also part of the package to showcase the further morphing capabilities of the Massive patches, always producing ear-pleasing soundscapes for several moods.